According to the Food Administration Organisation (FAO), 75,000 km2 of land (the Netherlands covers 41,528 km2) is used worldwide for the production of grapes. Roughly three-quarters of this goes for wine production. 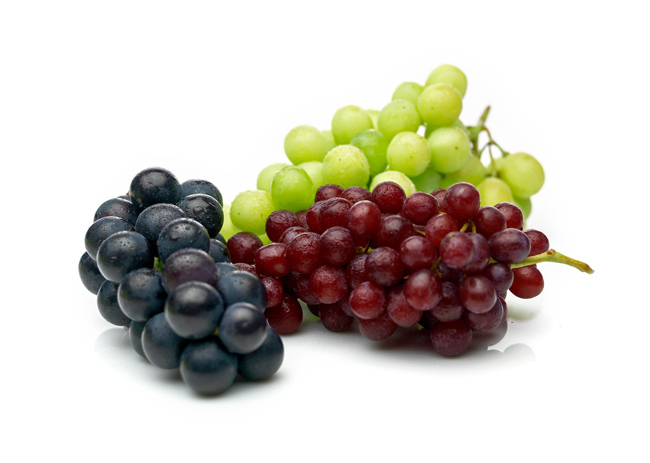 The best table grapes come from the southern hemisphere and originate from Brazil, Chile, Peru, South Africa and Namibia. We have been working for years with a permanent producer base for whomtop quality goes without saying. People whom we not only value for their dedication and competence, but who have more than proved their worth as solid, professional partners. At the end of the European grape season, we start importing grapes from Brazil and Peru as from the middle of October. Supplies shift to Namibia and South Africa as from November. Subsequently the supply then comes from India which captures an increasing market share in Europe. We then close the overseas season with table grapes from Chile and from May till June production moves on to Egypt. The reliability and quality of our alliances and enduring relationships with our growers make it possible to label or package directly at the source, exactly according to the required specifications of the final customer such as brix and minimum diameter caliber. This can be done in 500 gram punnets for example, or in traditional carry bags.